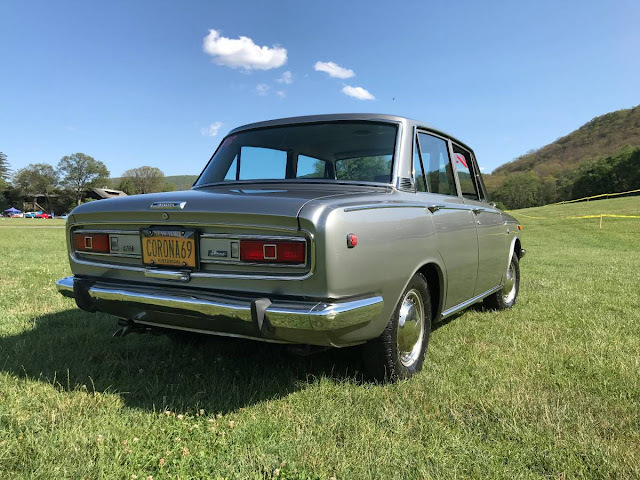 The Toyota Corona was the bottom of the line for Toyota's North American lineup until 1969 when the Corolla was introduced. That doesn't mean that the Corona is a bad car, just that it was a compact and not equipped with a bunch of power options...but for a Japanese classic this isn't bad because it means less stuff to break. 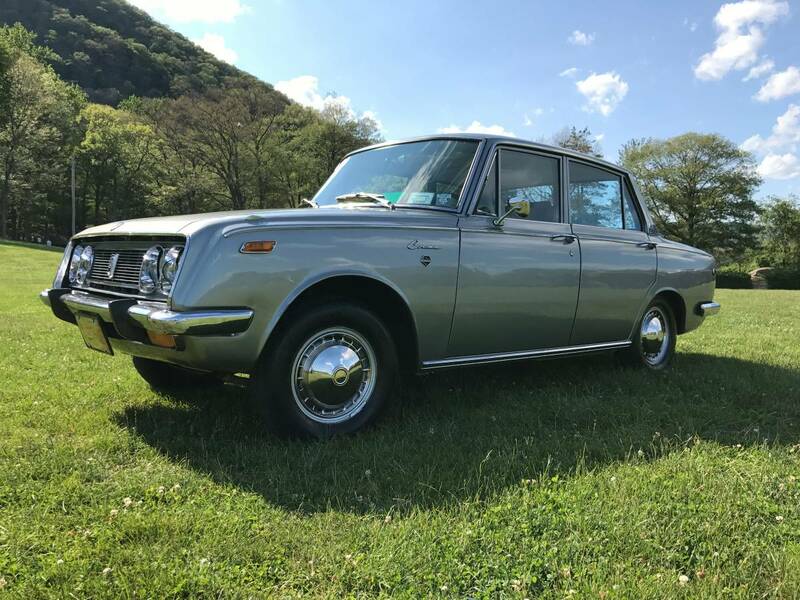 Find this 1969 Toyota Corona Deluxe offered for $7,400 in Newburgh, NY via craigslist. From Cory. Toyota Corona 1969 RT43 Deluxe Sedan 81700 miles with many new parts, Rebuild Carburetor, Ignition from point to electric, Oil Pump, Water pump, thermostat all new hoses alternator and starter been certified all the way around new shocks, brakes and shoes, flywheel, new blower motor all electrical relays and regulators to original OEM parts this car is super clean runs great any question please text me or if you need more images. Local pickup only. I would accept reasonable offers. the side profile and the rear end look like a contemporary Alfa Romeo sedan. Farina supposedly had a hand in the design. My first car when I got to Cali in........1978...I think it was a '67.maybe it was a '69 Corona. I paid $700.00. In today's money about 2400.00. Phew...inflation on top of inflation has beset this little gem. Bombed around Berkeley like a rabid bat with four doors. You'd really have to want one to pay the ask......think of what else you could get!